David talks with Sarahanne Driggs, Event Coordinator & Marketing Director of The Oregon Wine Experience, a multi-day event featuring the full breadth and depth Oregon wines, amazing culinary creations and everything that makes Oregon unique. The 2019 event is August 19-25, 2019, in lovely Jacksonville, Oregon. Last year they had record breaking representation from across the state with more than 100 Oregon wineries participating, providing the perfect opportunity for guests to take in the vastness of our state’s excellent wine. In 2018, Oregon Wine Experience® raised more than $1.3 Million and 100% of those proceeds went to Children’s Miracle Network and other Asante healthcare programs. Find out more here. 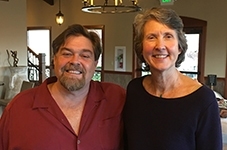 Next, from a visit on our Oregon Grape Encounters Mighway WineChaser Tour, David talks with Hilda Jones of Abacela Vineyards and Winery in Roseburg, Oregon. Abacela is a world-class, multi-award winning winery and viticulture success story. But in 1995 when founders Earl and Hilda Jones planted its first vines they had no way of knowing what the outcome would be. They were scientists with zero winemaking experience who left secure careers and trekked 2700 miles west, kids in tow, to test a hypothesis. Abacela was an experiment they hoped would answer a question that had puzzled them for years: Why doesn’t America produce any fine varietal Tempranillo wine? Earl and Hilda probably weren’t the first enophiles to wonder why the great grape of Spain’s famous Rioja wines was mysteriously absent from American fine wine. However they were the first to approach the question with scientific rigor, form a hypothesis, then devote their lives to testing it. This is the story of how one ordinary family’s curiosity and determination transformed their lives, built one of Oregon’s best-loved wineries and influenced winegrowing not only in Oregon and the Pacific Northwest but across America. Learn more about Abacela’s award-winning wines here, and plan a visit to beautiful Southern Orgeon wine country! Finally, a stop at Dancin Vineyard (2017 Oregon Winery of the Year) and an interview with Dan Marca, proprietor along with with his wife Cindy, of a meticulous and lovely tasting room experience in Medford, Oregon. During our visit we were treated to many culinary creations, their tasting room boasts a full kitchen and pizza oven that perfectly complements their award-winning wines. It’s a lovely spot, and a must-visit stop on your Southern Orgeon travels! 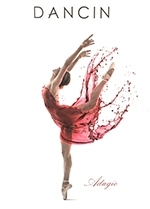 Find out more about Dancin Vineyard here.